When it comes to branding, reputation matters. We know and love our favorite brands because of our own experiences and from those of people we know and trust. As WorkingPerson.com, we love our brands because of the customer feedback, and one brand we know as the be ... (see full details) (see specifications) #TB0A1GHM001. When it comes to branding, reputation matters. We know and love our favorite brands because of our own experiences and from those of people we know and trust. As WorkingPerson.com, we love our brands because of the customer feedback, and one brand we know as the best in lightweight comfort is Timberland. Now, we know what you’re thinking - these Timberland PRO Powertrain Sport Men’s Black TB0A1GHM 001 Internal Met Guard EH Alloy Toe Boots are met guard boots. That should mean they can’t possibly be comfortable, right? But that’s simply not true. Timberland PRO has the perfect formula for lightweight, flexible comfort that will support your feet all day, even when you wear met guard protection. You'll love the flexibility of the design and the anti-fatigue technology included with these Timberland PRO men's boots, and soon you will understand why Timberland PRO always stands for comfort. One method for reducing the weight of these Timberland PRO internal met guard boots (one of many) is to replace the traditional steel toe caps with alloy toe caps. These meet the same safety standards as steel without the added density of steel. That means you'll have less weight on your feet and more room for your toes to move. These tough men’s met guard slip-resistant boots are also rated EH, or electrical hazard, for protection from certain open circuits in dry conditions. The slip-, oil-, and abrasion-resistant outsoles are made job site tough for long-lasting wear for whatever you have to step on and over while you work. These Powertrain Sport work boots are made tough enough for the job site, yet lightweight for comfort. The black synthetic uppers are light, flexible, and breathable. The uppers are metal-free, including the hardware, so you don’t have to worry so much about your laces wearing down over time. The full support of the lacing systems keep your black met guard boots securely fitted to your feet for the right fit every time. The internal metatarsal guards aren't seen from the outside, and with the way these Powertrain Sport boots feel on your feet, you may even forget they’re there altogether. Inside these heavy-duty black EH boots, antimicrobial odor control helps keep things fresh and clean feeling. The anti-fatigue technology made famous by Timberland PRO uses a unique design in the insoles to absorb the shock of impact with plenty of cushion for your feet. This energy absorbed is then returned to help “spring” your feet forward, reducing the amount of energy you need to use to lift your feet with each step. By reducing the overall weight of the men's safety toe boots in every way possible and adding in this springing technology, you can enjoy a noticeable difference in your stamina throughout your work day. 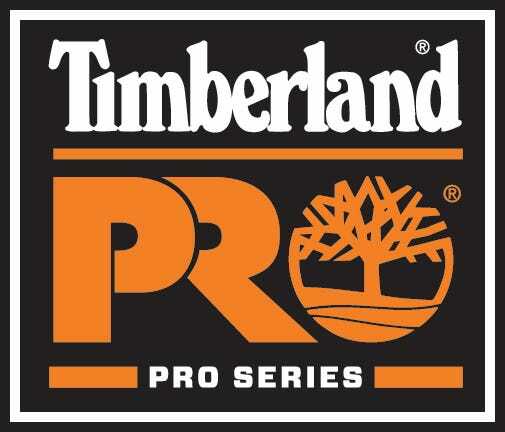 When it comes to comfort, the experts at Timberland PRO know what they’re doing. Just ask anyone who has ever worn them, Timberland has the perfect blend of flexibility, support, and cushion for the best comfort in your day. These lightweight Timberland PRO Powertrain Sport Men’s Black TB0A1GHM 001 Alloy Safety Toe Internal Met Guard EH Boots from Working Person's Store are ready t0 go to work for you so you can focus on your day rather than you feet and enjoy more stamina when it’s all done. I would like to thank the people who checked my address order... I bought working pants, you can feel it's made for work! And very fast delivery! Thanks a lot. Timberland PRO Boots: Men's Black TB0A1GHM 001 Internal Met Guard Powertrain Sport Boots is being added to your cart.